The new year is a very good excuse to make cleanings. 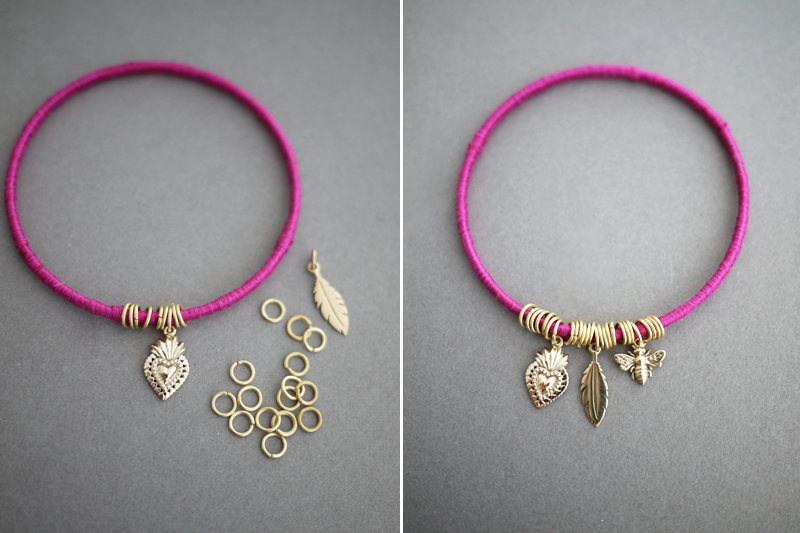 Take a look at your jewelry box and you might find brass bracelets that you no longer use. 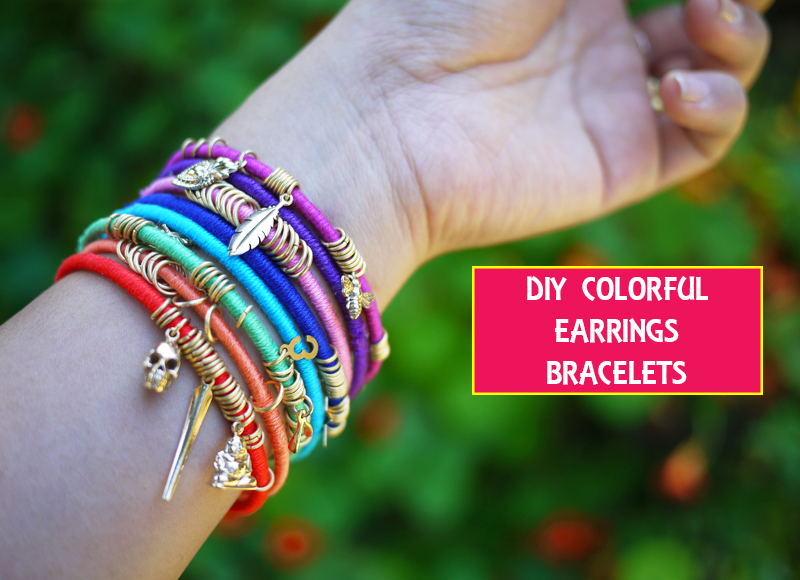 Don’t throw them in the trash because you can bring it to live …and transform it in colorful bracelets that will help you to make your look less boring and old fashined. How to do it? It is very easy, it’s just a matter of following the steps. 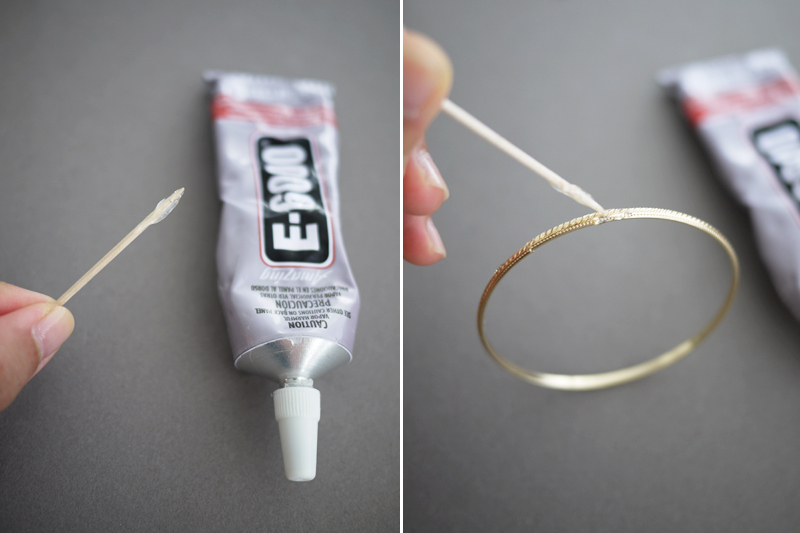 Step two: place the silk thread in the glue and then start rolling all over the bracelet.It must be done in a firm way. 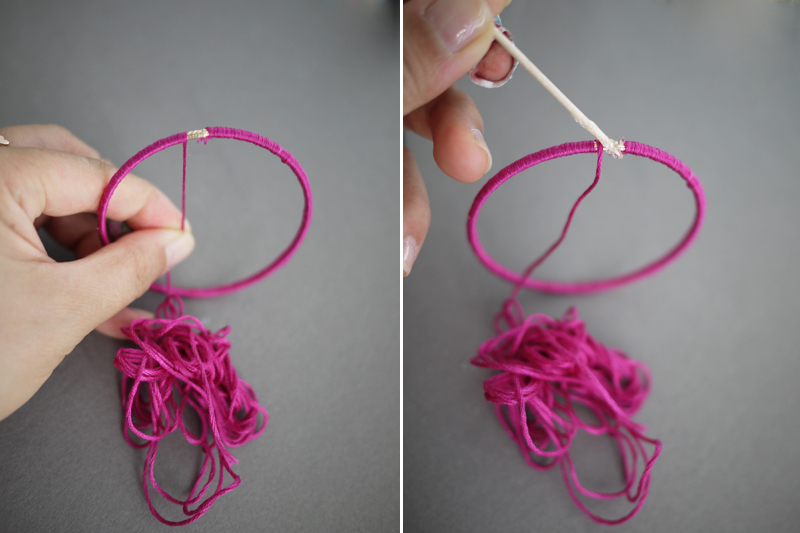 Step three: as soon as you have finished rolling the thread in the glued portion of the bracelet you can continue rolling the thread. After having done a considerable portion use your fingers to smooth and adjust the thread and repeat this procedure. 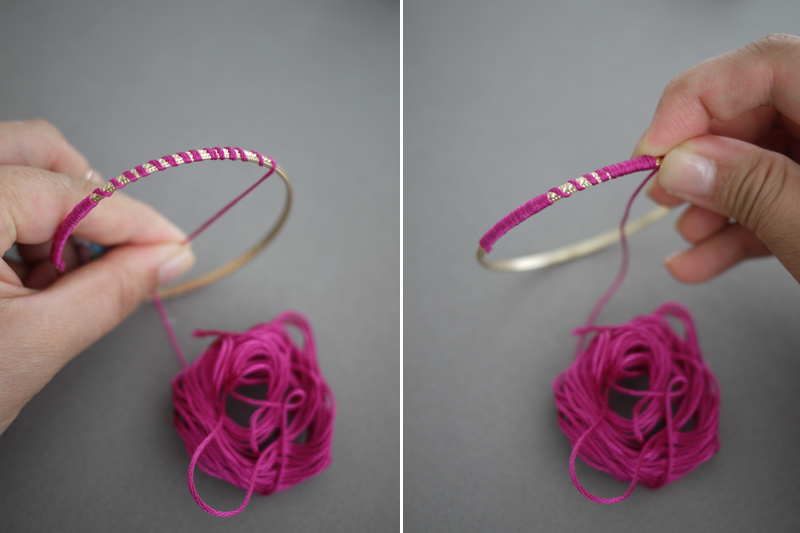 Step four: add a drop of glue in the last portion of the bracelet and finish rolling the thread. Step five: with the tweezer place the earrings making sure you don’t forget to close them. Between each earring place several rings. 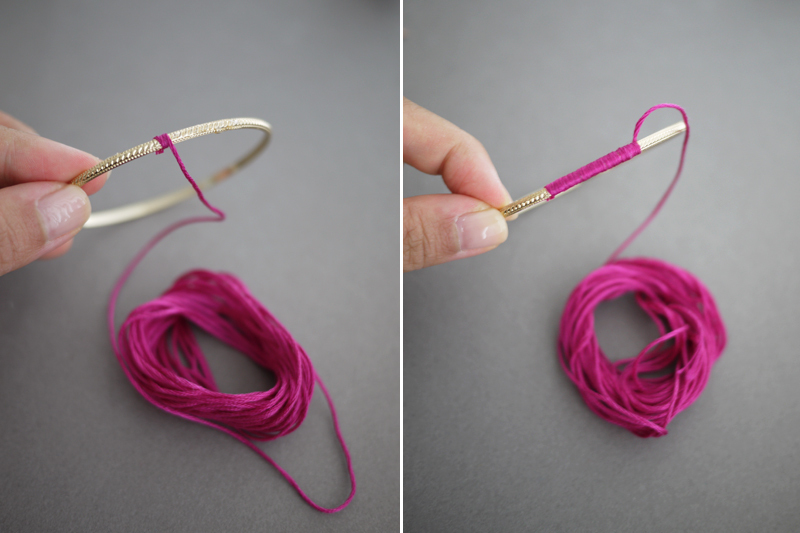 You can repeat this procedure with diferent color threads and earrings which will allow you to create several looks.